Corian is a man made material made from stone dust and resin. It does look and feel much like slate. There are advantages using this material for plaques instead of real slate. The main advantage being that the lettering can be much smaller. 5mm is the miminum letter size compared to 20mm on real slate. We can also engrave images with far more detail. The second advantage is the uniform appearence - no natural veins or markings. 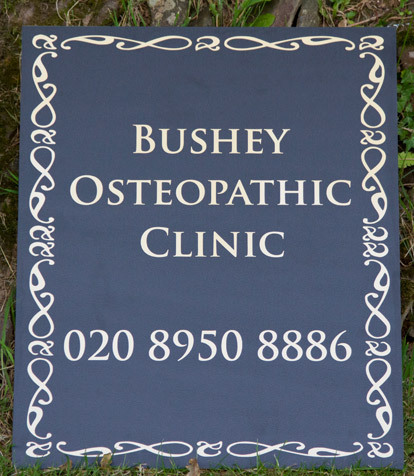 If you prefer the natural markings in the slate, as many people do, then the corian slate plaque is not for you! 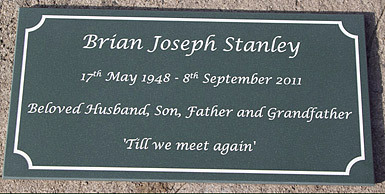 The plaques are 12mm thick and available in a light slate or a dark slate option. The price includes 25 letters - extra letters are £3 per 30. 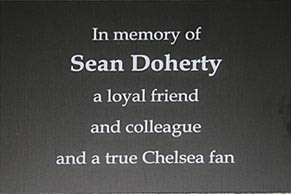 The lettering can be paint filled - black, gold, silver or white.